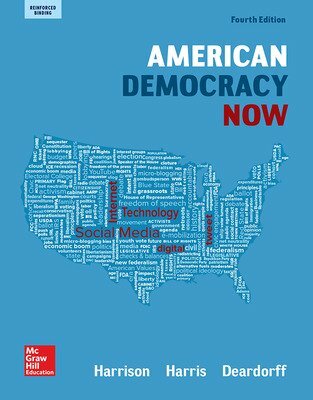 At the heart of American Democracy Now is a rich set of pedagogical tools that move students along the path to critical thinking and success on the AP* US Government & Politics exam. The Constitution is explained in everyday language to aid true student understanding. Visually appealing and highly interesting, American Democracy Now is a student favorite. Political Inquiry prompts, which help students formulate questions from data and images. Analyzing the Sources, which guides students in thinking through primary resources. AP Teacher Manual provides classroom activities, a pacing guide, AP Exam practice and more. AP Question Banks, which provides practice with AP-style multiple choice and free response questions. Connect® is an integrated learning system that contains SmartBook™, an adaptive eBook built on the LearnSmart™ engine.